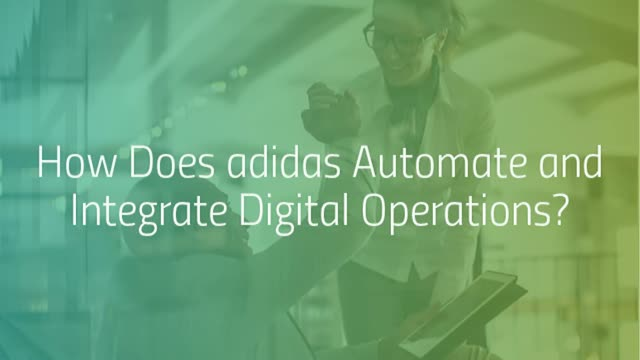 How Does adidas Automate and Integrate Digital Operations? Want to know how manufacturing and retail giant adidas tackles IT integration? With 500 sales operations, 400 factories and over 10,000 staff around the world, adidas has a strategic and dedicated team for Global Integration Services – connecting disparate systems and data to save time and effort across the business. Title: How Does adidas Automate and Integrate Digital Operations?